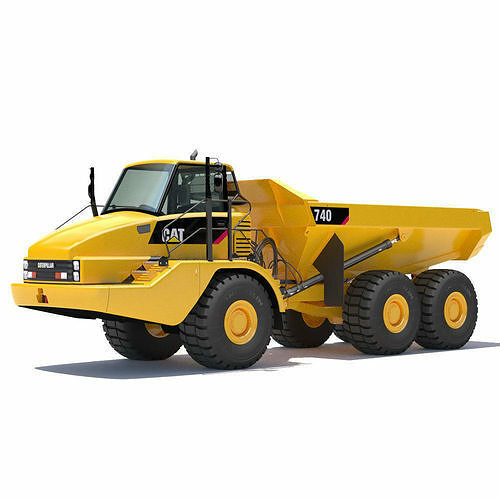 3D High resolution and fully detailed Articulated Dump Truck 740 Modeled correctly scaled from blueprints, enough detail for close-up renders. Semi-detailed interior. All the materials can be easily modified and have been named with a logical criteria. Closed model, no holes or lost polygons. Crystals have been modeled with volume to use with renderers like Fryrender or Maxwell. Fully UV mapped. Animatable elements. Texture map 1197 x 2408 px. Bump map 1197 x 2408 px.